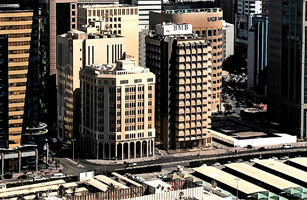 Manama, Bahrain (30 January 2008) – BMB Investment Bank (“BMB” or the “Bank”) announced today the sale in December 2007 of its headquarters building in Manama, “BMB Centre”, for US $18 million, realising a profit of just under US $13 million. The BMB Centre was built in 1985, three years after the incorporation of the Bank. In view of the substantial boom in the real estate market, the Bank determined that it was in its best interest to realise the gains on its building at this time. The Bank will, however, continue to occupy the same premises in the building.